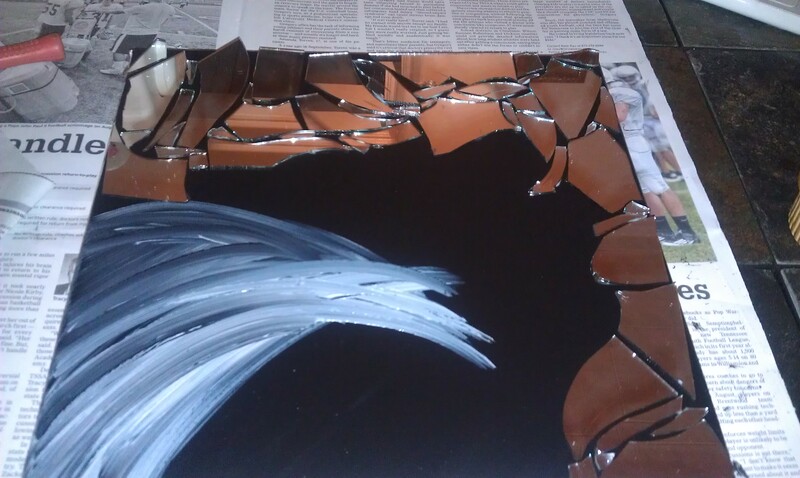 I had a broken mirror and an old self-portrait that I hate. Yeah, it’s bad. 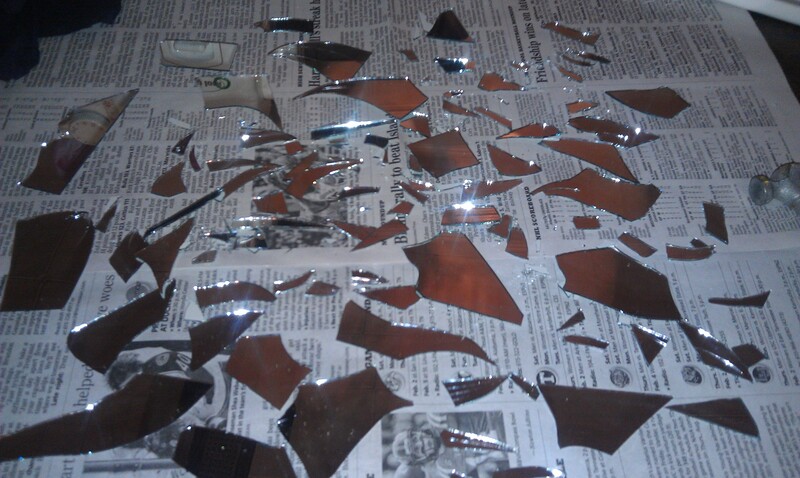 So I decided to break the mirror up a little more. 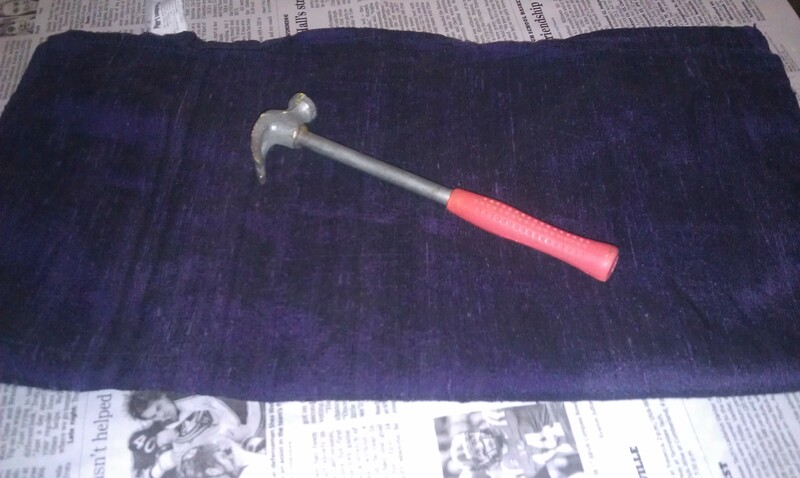 I put a cloth over it and used my little hammer to smash it. 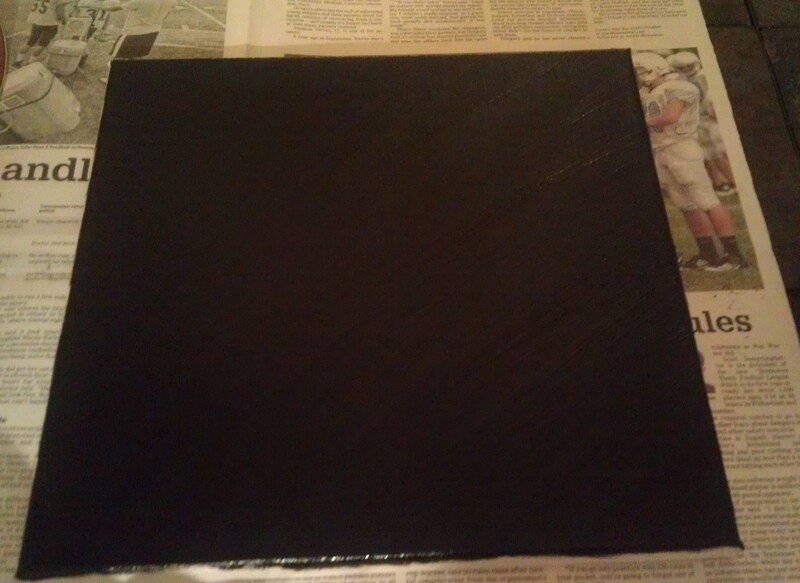 I painted my ugly old self-portrait black. 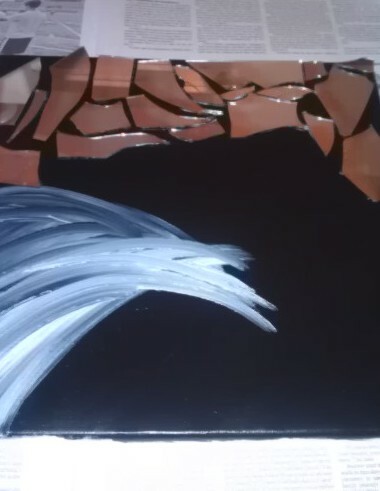 I fancied it up a little then glued on the glass pieces. 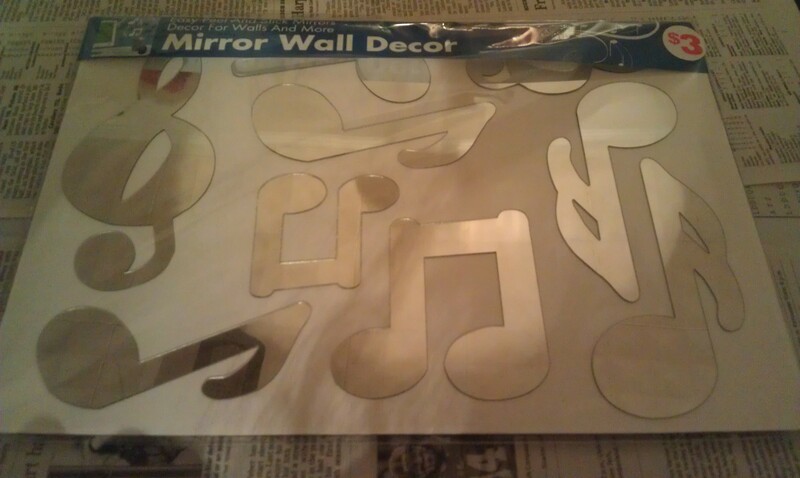 I bought these little mirrored music notes for super cheap this afternoon. 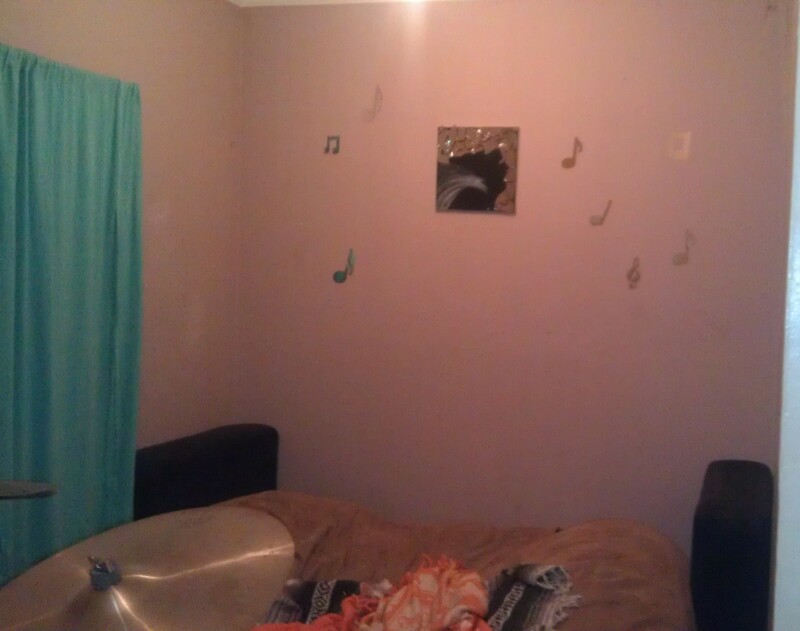 I thought that these stickers and my new art work would be perfect for my drum room! 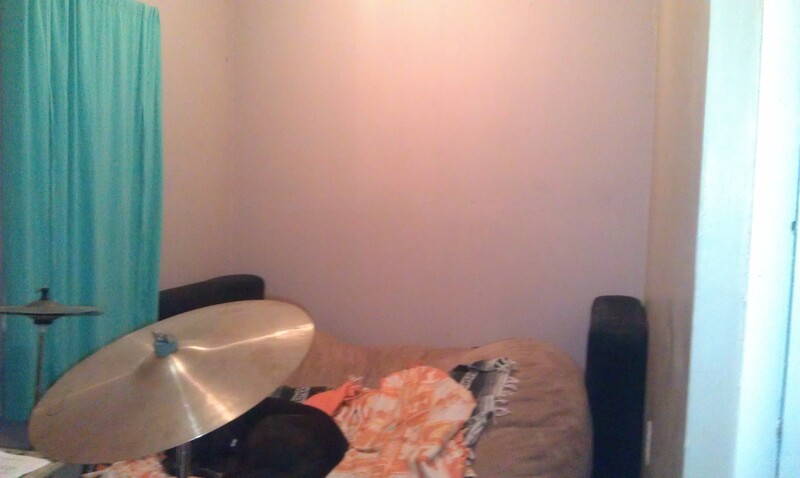 This is the drum room, also it’s where Stash-dog’s bed is. 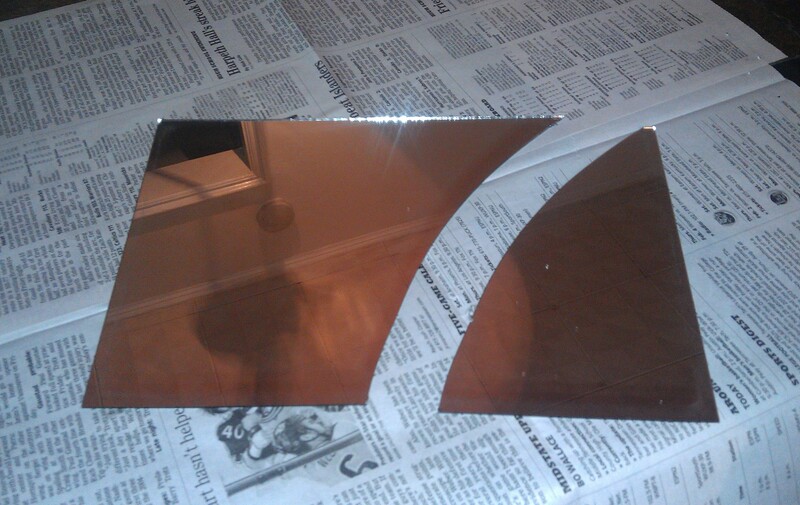 It’s pretty plain in here. So I decorated that wall. 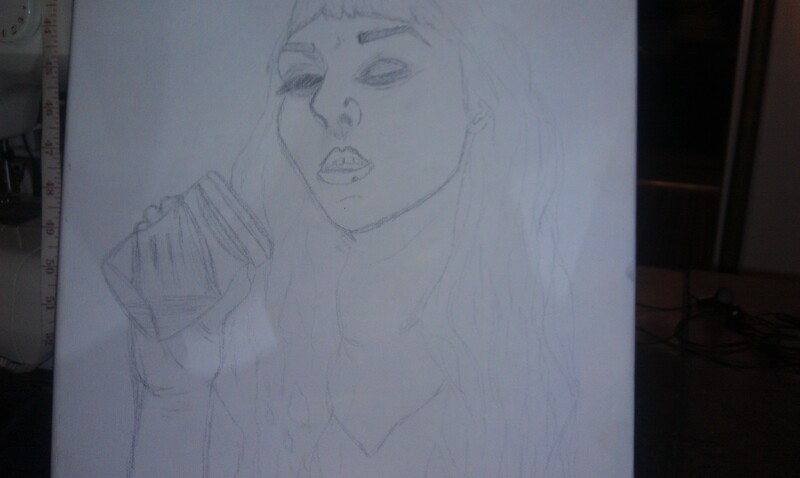 It’s a start! Thanks for reading! Happy smashing!